Amtrak Gets a New Boss … Again! Here we go again! The news broke today that Amtrak’s president and CEO, Wick Moorman, will be stepping down at the end of the year. 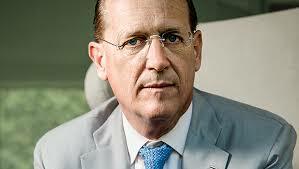 His successor will be Richard Anderson, who is CEO of Delta Airlines. Moorman and Anderson will serve as joint CEOs until the end of the year when Moorman will presumably move on into full-time retirement. It should be noted that Moorman originally signed on with the understanding that he would be a short-timer and that part of his job description was to assist the Amtrak board in finding a successor. 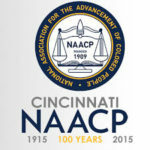 For what it’s worth—and to me it’s worth a lot—NARP’s President and CEO Jim Mathews gives Anderson very high marks. OK . . . I’m off to the airport on my way to Minneapolis and the NARP Board of Directors annual retreat. More to come as time permits. NextTaking Bare Bones to a New Level. Delta is one, if not the inventor of the hub and spoke model, which has left many small towns stranded with limited connections or no connections at all… So let’s hope he’s willing to learn from Moorman and others the specifications of Amtrak. I’m less in awe for wonder doctors who call themselves CEO, but I’ll help you hope he’s aware of the value Amtrak has politically and economically for many a small town in the U.S.